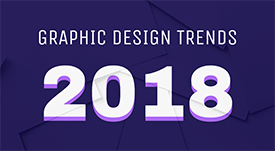 Gal noticed that there is a new and fresh trend in design that involves a prominent use of gradients in UI, branding, illustration, typography and more. 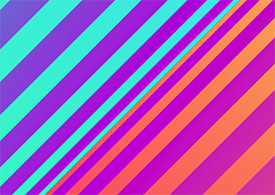 It seems like we got bored of all the existing colors in the world, so we started to create new ways to use them. Lessons include: Planning, Governance, Security, Search Structure, Uploading and Asset Engagement. 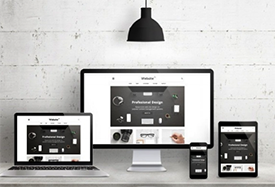 Check out the latest from Widen University. One of the biggest challenges in today’s workplace? Managing and coordinating wildly diverse teams, often with contributors spread across the country and even the world. How do you centralize your creative process? How do you stay efficient? How do you even stay organized? Workflow management systems are primarily designed to help facilitate and enhance the way we work. 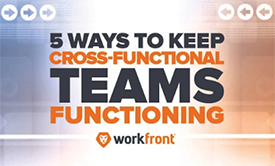 Yet a common misconception is that a new system will eliminate the opportunity for the personal interactions and follow-up that are a vital part of teamwork. 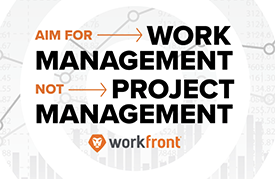 While it is true that a well-constructed workflow implementation will redefine workflows, refine processes, and eliminate unnecessary hand-offs and extra tasks, the value of relationship and communication among your team members remains critically important to making decisions and continually sharing information about who works on what, when and how. Henry Stewart is delighted to announce that Jim Hubbard, Director of White Door Consulting, will be chairing Creative Operations London 2019! Jim brings 25+ years of experience within Creative Operations to the event, having worked with some of the world's leading brands along the way, including; Amazon, Tesco, Specsavers, JWT and the BBC. 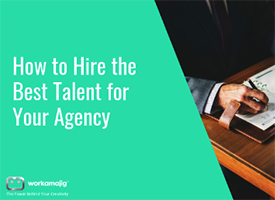 How do you find the best talent for your agency? What can you do to attract better - and retain - better employees? 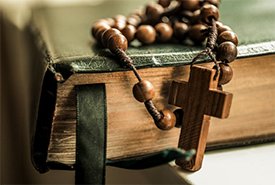 This guide shares some answers and insight. At the Adobe® MAX – The Creativity Conference in Los Angeles – Extensis® unveiled new versions of its suite of professional font managers. With all new font auto-activation plug-ins, designers can access their font collections directly from the latest Adobe Creative Cloud® applications, including InDesign® CC, Photoshop® CC, Illustrator® CC, InCopy® CC, and After Effects® CC. There’s no doubt that leveraging freelancers is a great way to add talent to your team. 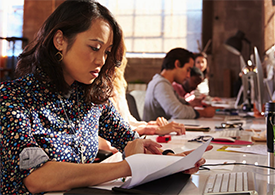 In fact, nearly half of millennials are choosing the independent-contractor route these days. 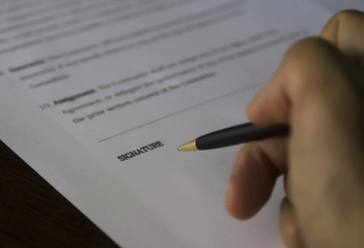 With all of that talent wading in the freelance pool, it’s important to understand whether your variable resources are truly operating as independent contractors or a misclassified form of employee. 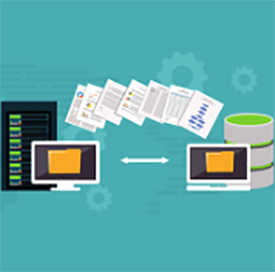 Planning your enterprise content management (ECM) migration is just as important as selecting and implementing a new system. 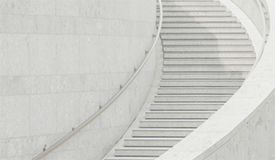 It’s not something you hastily add to the end of an ECM roll out, you need to plan your transition just as you plan your ECM architecture and implementation— or risk failure of the entire project. This white paper is comprised of seven steps from Zia Consulting that will help you define your business drivers, break down your project into critical components and ensure that you can continue to utilize your documents throughout the migration process. 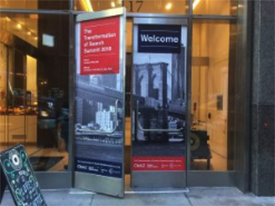 This past Friday Search Engine Watch held their inaugural Transformation of Search Summit in NY. Let’s just say, they’re already looking to book a venue for next year! On a scale of one to success, it was smashing. 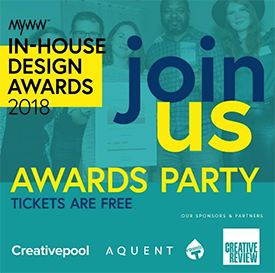 The Shortlist For the MYWW In-House Design Awards Has Been Announced! Find Out Who the Winners Are At the Awards Party. TICKETS ARE FREE AND INCLUDE BOOZE AND PIZZA - guest list only - So RSVP! 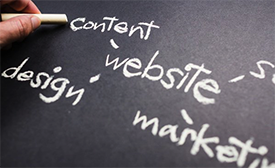 Over the last 15 years, the roles of marketing, design and creative services has changed. A more technical and sophisticated understanding of software is becoming a prerequisite. Yesterday's core competencies include a knowledge of complex automation, storage and distribution platforms. Some teams can afford to have salaried creatives performing outside duties. 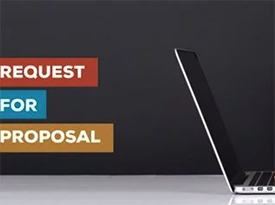 While other companies and agencies, small and big alike, use outsourcing to streamline. 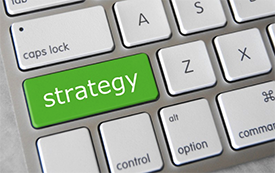 Putting the busy work in the hands of well-trained outside professionals is strategic. What was once perceived as a cost-cutting measure, creative teams now see and use outsourcing as a competitive edge. 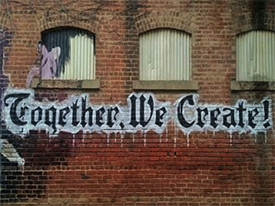 Two Directors of Creative Operations, Sarah Juselius of DraftKings and Bill Weiss of HelloFresh, discuss how to construct purpose-built creative teams. Widen is expanding beyond the conventional software vendor role into strategy design, change management, and process improvement. The community is meeting in New York on May 2 for the world's largest event dedicated to Creative Operations. Is DAM the Superhero Your Creative Process Needs? In a world of menacing distractions, it can take a superhero to create quality content and engagement across multiple channels with agility. A highly saturated market has made the need for quick and consistent content across channels overwhelmingly clear. You need a superhero that can take your creative process from concept to distribution at the speed of the market. You need a superhero that can handle your digital asset and marketing process management from a single source. Could digital asset management (DAM) be the superhero your brand needs? Warning: This article has a lot of funny & unfunny memes, as well as detailed graphics. Hook up to some of that WiFi stuff first unless you want to haemorrage data. It’s also really long, so grab some popcorn & a cold drink. Now more than ever, organizations have realized they need a robust TechStack to deliver exceptional customer experiences on every channel. They likely already have a Content Management System (CMS) for their downstream distribution processes and analytics so they can get campaigns and content into market and track engagement. 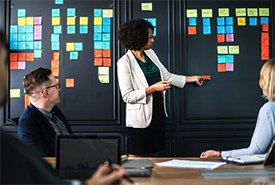 But they also need to automate and connect all their upstream activities, such as budgeting, planning, creation, management, retention, and overall ROI of their content to enhance experiences. A new ANA study concludes that the number of marketers with in-house agencies has grown substantially, and workloads for those agencies are increasing. In-house agencies provide a range of services, including strategy, creative for traditional media, creative for digital media, and media planning/buying. Services that have grown significantly in recent years are: content marketing, creative strategy, data/marketing analytics, media strategy, programmatic media, and social media. 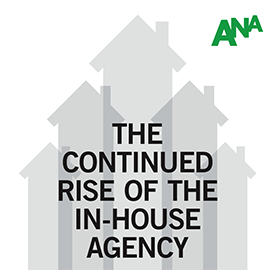 A new ANA study on the topic of in-house agencies concludes that the number of marketers with in-house agencies has grown substantially and workloads for those agencies are increasing. Findings are based on an ANA survey in which 412 members participated. 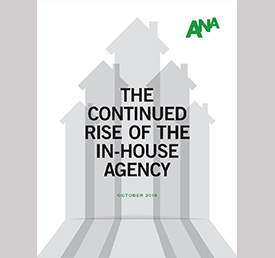 The ANA also surveyed membership on in-house agencies in 2008 (10 years ago) and 2013 (five years ago), so the current research provides a unique and consistent benchmark on the evolution of in-house agencies. Here are the twelve top takeaways from our survey. 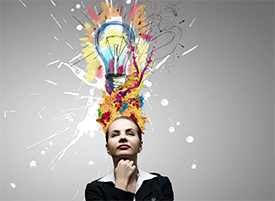 Can you imagine a world where your creativity is enhanced through artificial intelligence? For Brian Eriksson, Manager for Applied Research and Machine Learning, that’s exactly what he and his team are working to accomplish. Working on a project in Creative Cloud and get can’t get enough inspiration to finish your next masterpiece? Don’t worry, with Adobe Sensei Agents—an AI-based assistant technology—you’ll be given recommendations on how to move past your “creator’s block.” To get a closer look at what this future of technology will look like, we tapped Brian into explaining more about his Sensei Agents team. At first glance, a VMP might seem like a complex stack of disparate parts. However, having multiple pieces of vital technology housed under one roof is precisely what makes a VMP so powerful for today's publishers who are asked to juggle dozens of tools on a daily basis. Sponsored by Telaria. For any business initiative to be a success, it’s important that initial preparations and considerations are in place. That, of course, also applies to your master data management implementation. These are the initial steps you as a business should focus on to create the foundation for a successful master data management journey. Traditionally, Creative Ops has provided the means for delivering best-in-class creative execution, focusing on the tools and processes that go along with making good creative work great. It's only recently that companies are recognizing that not only can we deliver the creative product successfully and on time, but our real value lies in our ability to drive operational excellence. That is by making decisions to drive productivity, deliver cost savings, and deliver innovative technology solutions - hence our name ‘Creative Operations’. 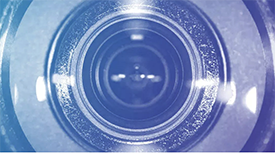 As the industry threw us curveball after curveball such as digital advertising, social media and most recently real-time video production, we in Creative Ops were right there ready to hit them out of the park. 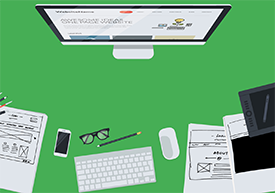 Content marketing can have multiple benefits for a business. Its growing demand brings a plethora of content marketing platforms. Here’s what you need to know about the state of the market. Content marketing has become one of the most effective ways to increase awareness, engagement and leads through the last years. Many companies have invested in content, from creation to distribution, to build a successful content machine that brings them closer to their business goals. The rise of marketing technology was also another reason that marketers have discovered new ways of making their jobs easier. However, as more options show up every day, how do you choose the best one for your goals? What makes a content marketing platform special and how is it different from other marketing technologies? You have no shortage of great ideas. Adobe's goal is to help you bring those ideas to reality as beautifully and easily as possible. At the open MAX Keynote, the Adobe Creative Cloud team will unveil hundreds of new tools, features, and innovations that will accelerate your work, liberate your creativity, and drive new mediums. 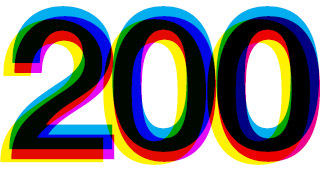 It's official, creativeopsreview.com has just hit publication of 200 posts. WooHoo! We thank you for your support as we strive to deliver relevant creative operations content every business day. 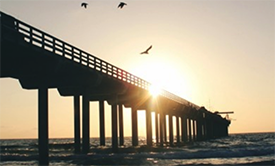 We hope you're finding it useful and an excellent resource of content and insights. 300 posts, here we come! In news that's surprising to no one, in-house agencies are on the rise. What is new, however, is just how much. The vast majority, or 78 percent, of members of the Association of National Advertisers have some form of in-house agency, according to a new report by the group, which surveyed 412 client-side marketers. 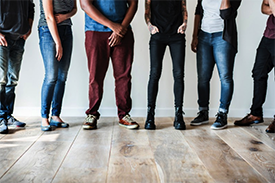 And many of those marketers who don't already have internal agencies are considering the strategy—of the 22 percent minority, eight percent said they are thinking about opening an in-house group. 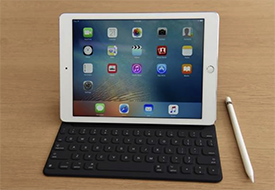 According to AThis year’s Adobe InDesign release is the most powerful release yet. 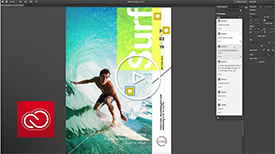 Comprising the latest innovations powered by Adobe Sensei, integrating more than 14,000+ fonts, releasing top customer requests, and including over 30 performance improvements, this is one of the most comprehensive InDesign releases to date. 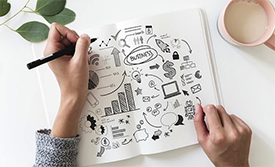 According to a survey Adobe commissioned from Forrester Research, experience-driven businesses see 1.6x more brand awareness, 1.5x more repeat visitors, and 1.9x higher average order value than non-experience driven businesses. This is indicative of how big of a priority customer experience is for brands today; however, the challenge of scaling these practices can be considerable. 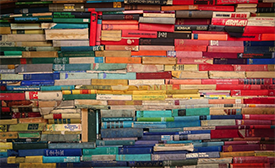 Experience-driven marketing requires content velocity. 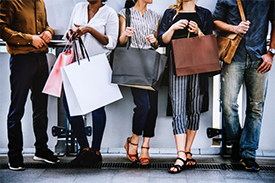 This includes increased personalization, contextual awareness of the customer, and a greater variety of assets delivered with speed and frequency across channels. 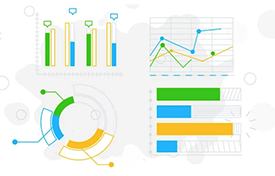 Brands continue to rely on their agency partners to help navigate these challenges through intelligent use of data and efficient design practices. That’s why Adobe is excited to work with WPP, a world leader in communications services, to develop solutions that streamline asset workflows between creative and marketing teams to help scale content production and design. John Horodyski is one of the world’s leading experts in Digital Asset Management. Ahead of his participation in DAM San Diego 18, Jad Farat caught up with him to discuss all things DAM. From Marketing Land: Did Your YouTube Channel Get Removed Over Duplicative Content, Here Is Why. William P. Messier is the director of digital assets at Overbrook Entertainment. Had Farhat caught up with him ahead of his presentation at DAM San Diego to learn more about his personal experiences with DAM. From Digiday: WTF Is Programmatic Advertising? 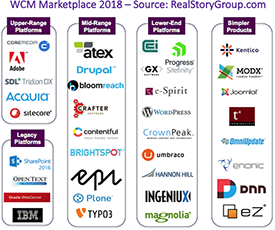 From the Real Story Blog: Why Is WCM Such a Fragmented Marketplace? RSG covers more than three-dozen Web Content & Experience Management (WCM) vendors, although around the world you can find hundreds more. Amid constant predictions of "industry consolidation" why do you see so many Web CMS vendors? RSG can think of at least six reasons. 2018 is the year designers finally take risks, in life and in graphic design. Because that’s the only way their design will stand out this year. There are millions of things fighting for your audience’s very limited time right now. Bitcoin. Politics. Cats. Food. That means that the things you did to differentiate yourself from the pack in the past aren’t going to work this year. No more boring stock photos or minimalist graphics. 2018 calls for riskier color schemes. Riskier GIFs, even. In case you’re open to wide color practicing and do not limit the color palette only to dark shades, there is a strong chance you tried adding gradient to your design. How did you feel at that moment? Did you like the result or flat colors beat the competition in the end? Certainly, you won’t find one right answer for all kind of tasks. Moreover, there are lots of ways on how to get benefits from both approaches. After more than a decade of projects gone afoul, designs that never made it to development, concepts that should have never made it beyond being a concept and the snail’s pace of many projects Chris has worked on, this article is long overdue. Chris would like to be able to write an article placing the blame somewhere other than the UX teams he’s worked with. But, that wouldn’t be honest or true. It wouldn’t be a confession. Often times, it has been his team or himself to blame for failed projects or projects that could have yielded better results. At the outset, Chris states there is a lot he likes and loves about UX and design in general. But, there is also a lot that gets under his skin. UX can be a great solution to the problems an organization faces with their products in the market. But, UX can also be part of the problem. Chris has often become part of the problem. Your content is alive! Regardless of type, format or channel, your content naturally moves through a lifecycle framework. And at every stage of this lifecycle, marketers must utilize technology to help effectively ensure there are no bottlenecks to delivering accurate, engaging content. 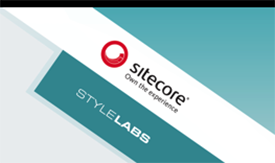 So which technology solutions should you use to manage the content lifecycle? It will depend on your current systems and processes. But there’s one approach that’s vital to every organization’s MarTech strategy: maintaining a single source of truth for content across its entire lifecycle. If you’ve ever set foot in an Equinox fitness club, you know it’s not the standard gym experience. The luxe brand caters to an elite, high-performance clientele where time efficiency is of the essence, and fostering a particular athletic community is critical. Members of the club, which has outposts across the United States, Canada, and the U.K., are accustomed to a certain set of standards and quality that “has to extend to all the digital products that they use, and it’s got to work seamlessly as well,” said Cecilia Farooqi, director of digital design at Equinox. Headquartered in New York City, where there alone are more than 35 Equinox clubs, the UX design team’s role is to elevate that “standard of experience” online through the company’s website, applications, communications, and digital campaigns. 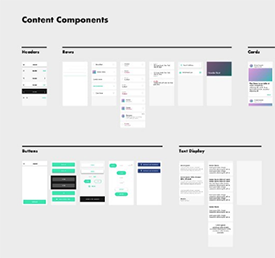 Just over a year ago, the team began using Adobe XD to bring some of these experiences to life — and it is now a vital part of the brand’s contextual storytelling strategy and process. The Filmmaker Communitty is happy to announce the release of the DevCon 2018 session videos. 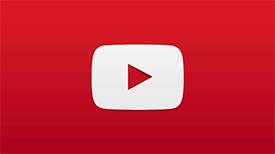 These videos are available to the public so please share your favorites. Many agencies struggle to get a grip on what the future holds. Without knowing what tomorrow will bring, it’s easy to make poor decisions or suffer course corrects. What if you could predict the future using data you already have or can begin gathering? With forecasting, you can. Once mastered, forecasting unlocks a wide range of business insights. It’s something of a skeleton key that can help you gain control of nearly every aspect of your business. 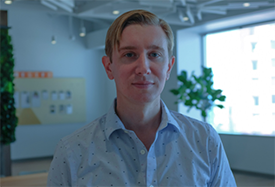 Looking forward to our first-ever Forecasting Workshop, we caught up with Rob Harr, Vice President of Sparkbox and the workshop facilitator, for a quick intro on what forecasting is, why it’s a worthwhile investment and the basic steps to get started. No matter how you look at it, Agile marketing is a very powerful force. Marketers of all levels feel its benefits, as do people outside of the marketing profession. Recently hired marketing associates who are just trying to be better at their jobs feel it. Even C -suite executives who are just trying to get a handle on what marketing should look like in the twenty-first century feel it. Its benefits extend to other departments as well. Salespeople enjoy a better relationship with their marketing colleagues (and get more useful marketing programs). HR can hire more easily and keep marketers around longer. 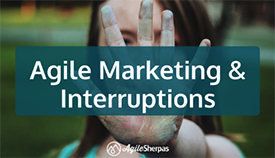 Customers, whether they know it or not, are also less likely to be annoyed by marketing campaigns produced by an Agile team. The one-two punch of higher quality and customer centricity make the output of Agile marketing teams truly enjoyable. 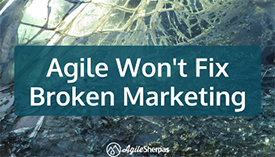 But despite all of that positive potential, there’s one thing Agile marketing cannot do. 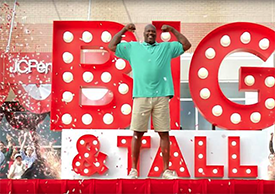 Agile marketing cannot turn crappy marketers into great ones. By this point, every marketer understands that “Content is King.” Your ability to create content, and a lot of it, is the backbone of any marketing program and particularly if you have an inbound marketing strategy. The solutions used to host, share, deliver and track content are many with Hubspot, Marketo, and Pardot being the more recognizable names in this space. The point of this article, is about Work In Progress, aka, WIP. Regardless of what Inbound software you use to manage your marketing engagement, you still have to have a completely separate process for the actual creation of the content, or at least you should. 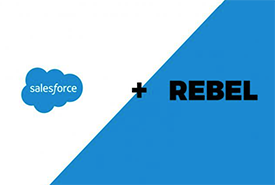 The rivalry between Salesforce and Adobe escalated Friday with the announcement that Salesforce is acquiring interactive email outfit Rebel, the latest encroachment of the cloud tycoons on each other's turf. Rebel provides consumers the ability to make purchases or write reviews within email rather than be directed to another landing page. Digital asset management (DAM) is a global tool at McCormick & Company. With products sold in 150 countries and territories, the DAM system serves as the source of truth for McCormick’s content. To achieve the benefits of a DAM tool as the centralize content hub, Leah Hammes (formerly Carlson) and her team knew they needed to generate awareness about the DAM system around the company and train their teams. In this Widen Podcast episode, Leah shares some of her lessons for building DAM programs at McCormick and in her previous role at National Cattlemen's Beef Association. As designers, we are constantly experimenting with tools and processes in an attempt to find the one that works best. After a great deal of experimentation, I’ve discovered the perfect design workflow, and I’m going to share it with you now. Design is a process and the process I’m going to share is the one I’ve used on all my projects to build habit-forming products that people love. 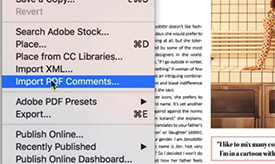 With the upcoming release of Adobe InDesign CC, Adobe has made it easier for you to implement feedback from the people you work with. If you frequently collect feedback through PDFs, then this new feature will make it easier to keep track of all your changes. 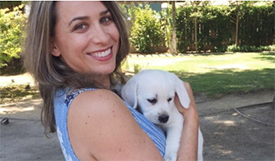 Meet IHAF member, Michelle Clark—Director of Creative Services at E.J. Gallo Winery, the leading provider of California wines in select markets around the world. Having led their 20-person account management group for a little over a year, Michelle talks servicing over one hundred brands of wine, overcoming team challenges and even offers some valuable advice. 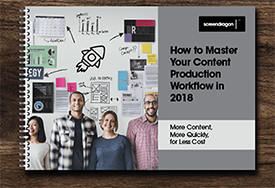 Get the best practices, tips and guidance on how to get your content to-market faster in 2018. Within a matter of seconds, the manufacturer had turned my colleague from a brand advocate to a dissatisfied customer. What could have been a golden opportunity for the car manufacturer to upsell or cross-sell additional products and services – from automotive parts to warranty services – transformed into a negative experience that prevents future sales and possible referrals. Information on the customer had never reached the marketing department, perhaps because it was stored in a data system unavailable to them. Marketing managers around the world fear doing the same thing because they're not sure if they can trust their data. To make sure you can trust yours, follow the steps outlined below. With the tightening labor pool, companies are taking an all-hands-on-deck approach to recruiting and retaining good employees. But, ignorance or carelessness might be undermining your efforts with women, people of color, LGBTQ people, and others. As companies start to see, the connection between content, knowledge and analysis and the ever increasing role of DAM into the broader Master Data Management world it becomes apparent that moving the DAM needle from Incipient to Optimal is no longer a nice to have, it is a business critical imperative. In this video Stephanie Lemieux, of Dovecot Studio explores the challenges faced when deploying a DAM. Travis Garrett and Gil Comeaux of Tyson Foods talk about their experiences. From Allocadia Resources: What is Marketing Performance Management (MPM)? A short video from Allocadia on what MPM is and the role it play in today marketing department. When you’re a marketer at a smaller business, or perhaps in charge of communications in a less-funded enterprise department, part of the fun of your job is that no two days are the same. You wear many broad-reaching hats to keep everything moving forward. And that means you need to be able to create virtually any type of experience — including some of the creative. While some companies have dedicated design departments, in many cases you’re just expected to dive in — whether or not you have the creative background to get the job done.